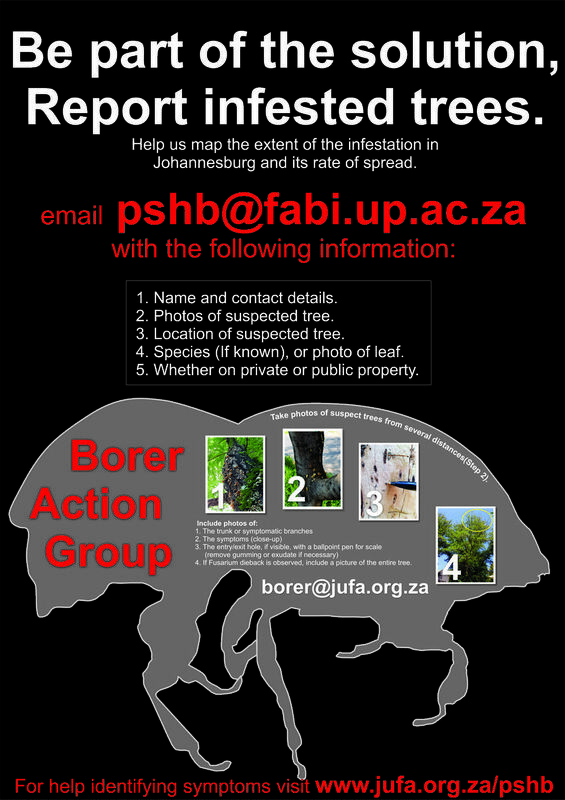 The polyphagous shot hole borer (pshb) is a type of amborsia beetle that is currently infesting over 200 tree species around the country. 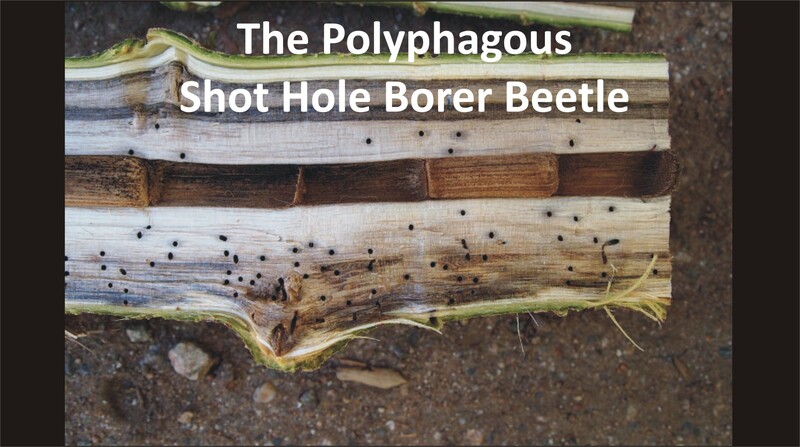 it is the fungus that accompanies the beetle and grows in the borer tunnel. 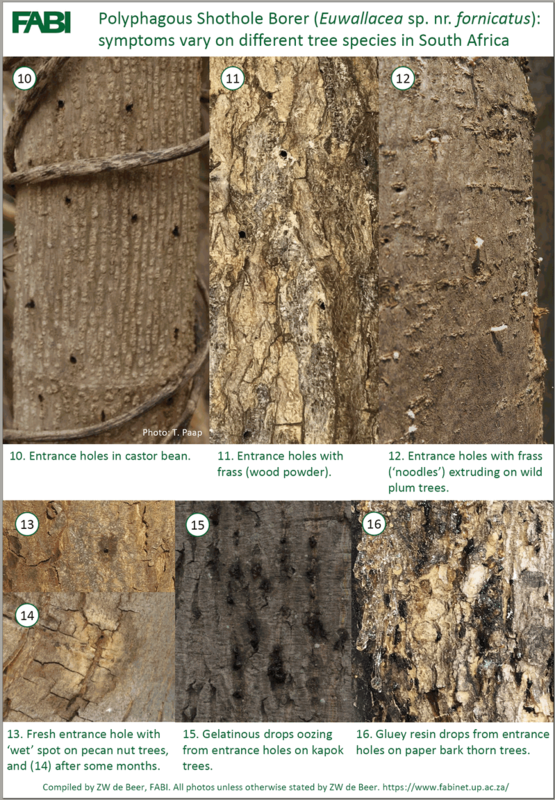 This fungus impacts the trees vascular system and inhibits the flow of water and nutrients within the tree. As the beetle is so tiny it is often not seen, therefore it is better to look for signs of infestation. Symptoms vary from species to species. 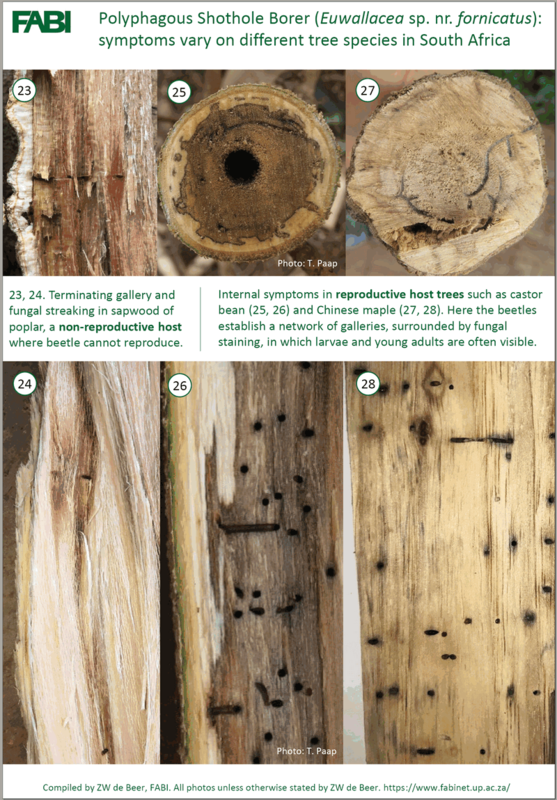 1 Host trees in which both the beetles and the fungus establish, and where the beetle successfully reproduce. In most cases the reproductive hosts will eventually be killed by the fungus. 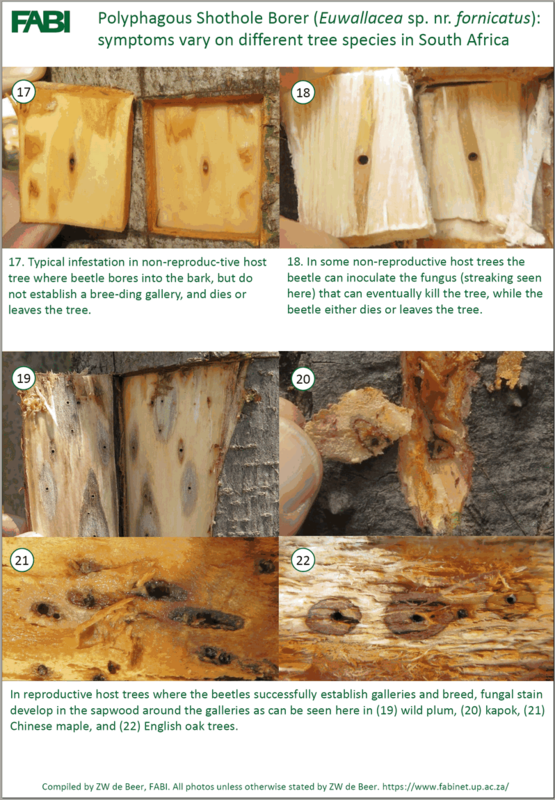 2 Host trees that are attacked by the beetle and where the fungus establishes, but where the beetle does not successfully breed. 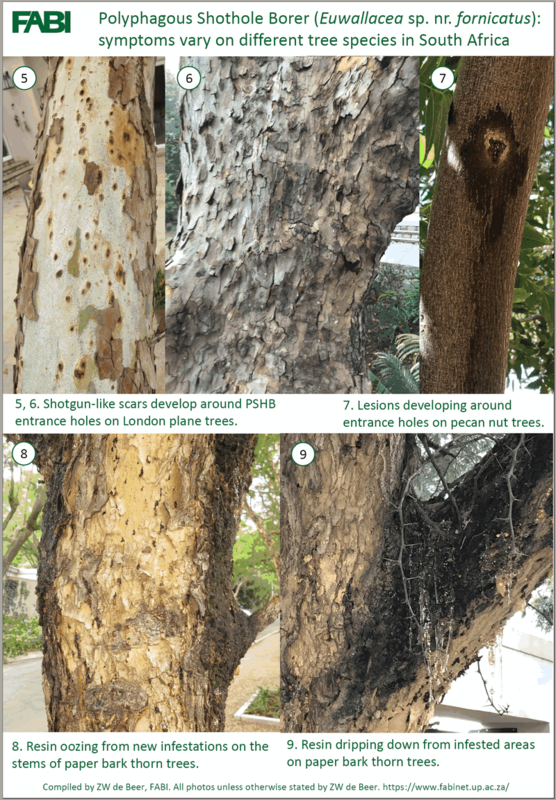 The fungus might, or might not cause disease and kill the trees. 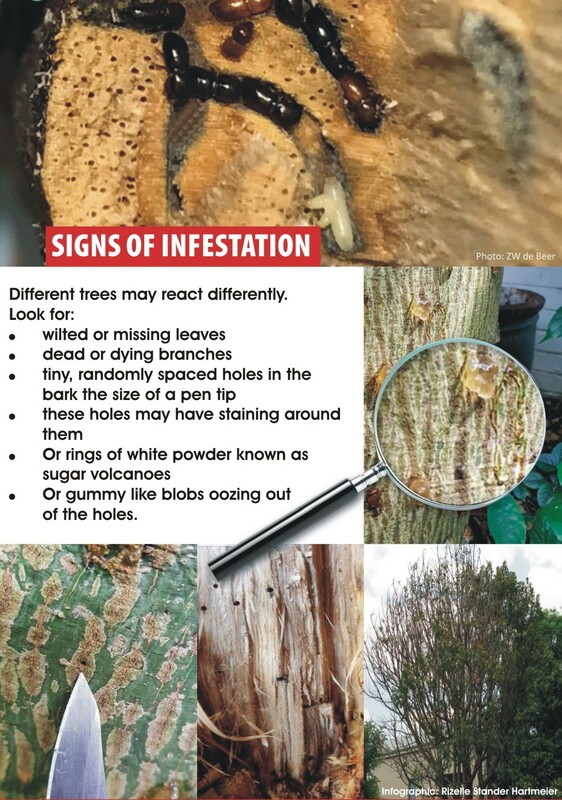 Infested and dead trees are a breeding ground for shot hole borer (PSHB). 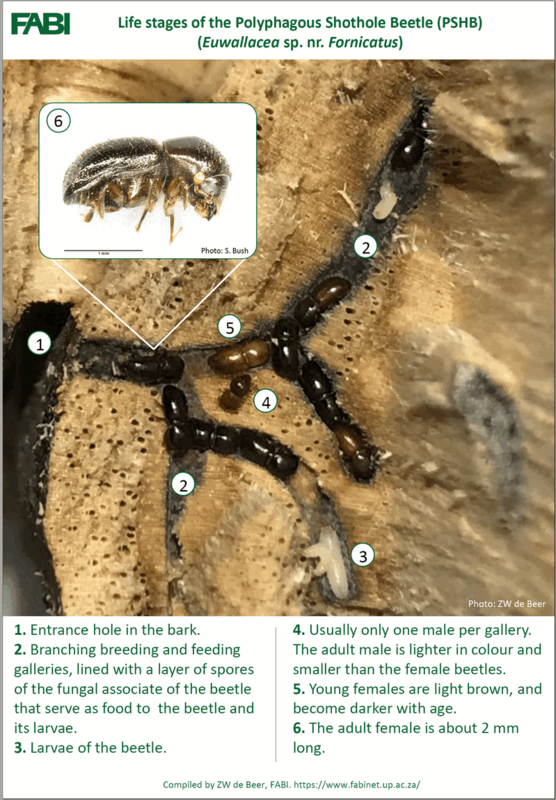 Recent tests Indicate that ONE heavily infested tree contains over 100,000 beetles. 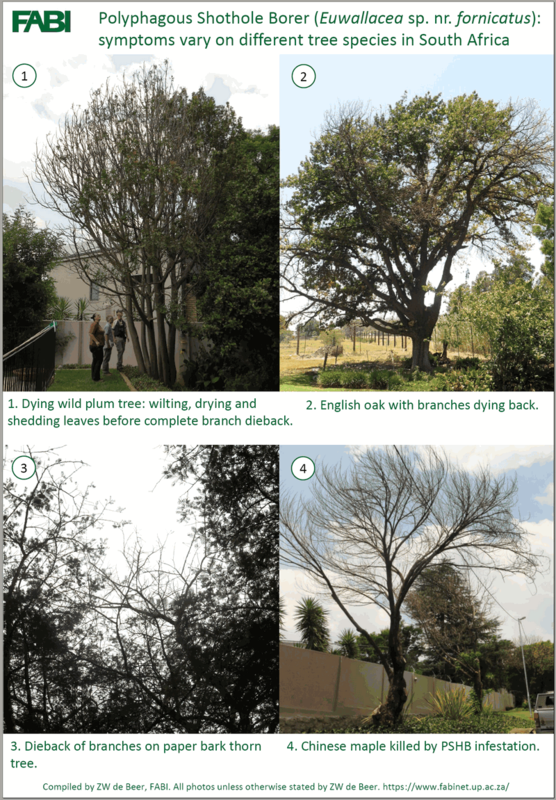 Dead trees need to be removed and disposed of responsibly. Cut infested branches into small pieces. Put into refuse bags and seal. sun will kill the insect and its larvae.